Going to the dentist can be a stressful experience for many patients – so how can interior design make the experience not only calming, comforting and pleasurable but also uplifting? Interior environments have considerable impact on their users, be that staff or visitors, and thoughtful, imaginative design can make all the difference. 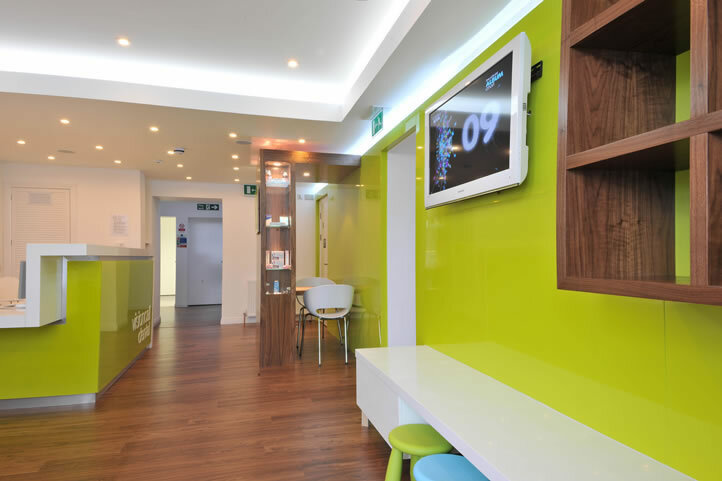 Lighting, colour, texture and layout can work to provide a positive experience, which for a dental practice is an important aspect of patient care. VisionCall, the UK’s largest provider of mobile eye care services who have recently branched into dental care with the launch of a new practice in Lanark, approached us to create an inviting and inspiring interior scheme for the entire practice and provide detail design and build services associated with their reception and waiting area. 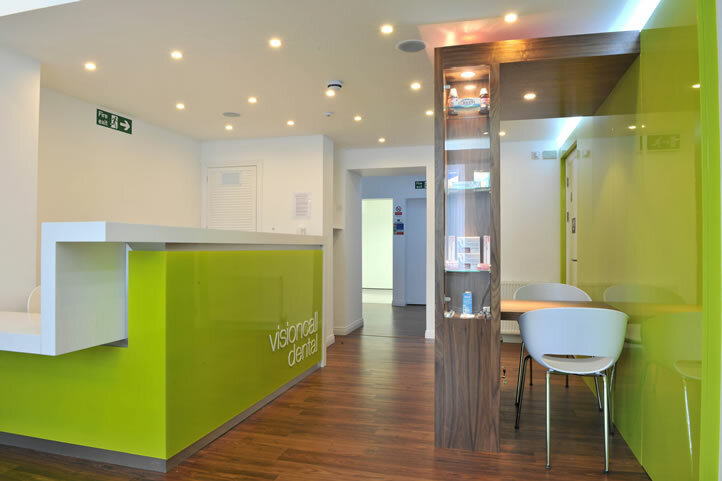 Creating an effective reception area poses special challenges: within a relatively small space a number of elements must be provided, such as a reception desk, seating, children’s play area and information display, and these are frequently disparate, uncoordinated aspects of a dental practice’s environment. Our approach was to focus on integrating the functional requirements into a total design scheme that would help to put patients at ease through ambience and aesthetics. 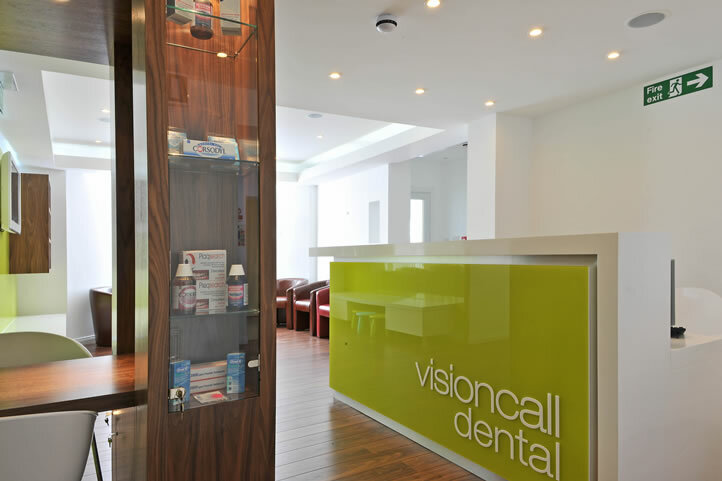 We therefore devised a scheme that was welcoming and relaxing for patients, functionally excellent for staff and incorporated aspects of Visioncall’s corporate identity to define the personality of the practice. Walnut flooring provides warmth and texture; a green feature wall adds interest, reflects Visioncall’s corporate identity and provides a dynamic place for display; low white units provide seating and a play platform for children while incorporating hidden storage underneath. Lighting subtly defines the reception from the waiting area and overall creates a more relaxing environment.